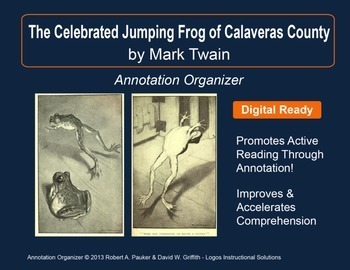 "The Celebrated Jumping Frog of Calaveras County" by Mark Twain is part of our Short Story Annotation Series designed to improve annotation skills, bolster reading comprehension, and cultivate literary appreciation. 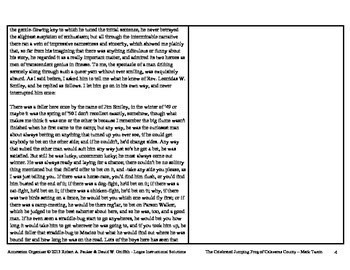 Our best-selling product. 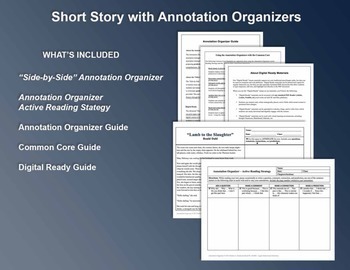 Over 100 short story options at your fingertips for your students. 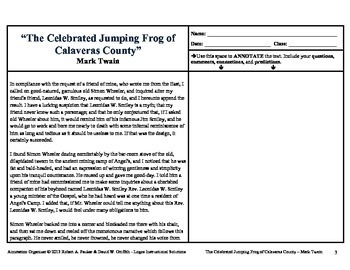 "The Celebrated Jumping Frog of Calaveras County" full text by Mark Twain is included for free.